The summer heat has me sweating more than than a deadbeat dad on the Maury Povich Show. To battle the summer flares, Baskin Robbins has launched a line of new cold beverages they're calling Freak Shakes. In honor of National Ice Cream Month, the ice cream chain created the Unicorn Freak Shake, the Oreo 'n Cookies Freak Shake, and the Donut Shop Freak Shake. 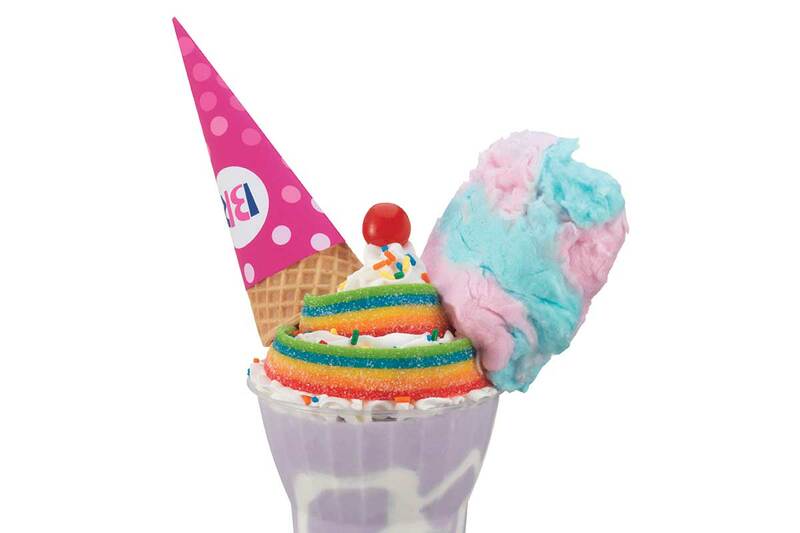 The Unicorn Freak Shake is topped with a scoop of cotton candy ice cream and crowned with Airheads Xtreme Rainbow Berry Sweetly Sour Candy strips, Charms Fluffy Stuff Cotton Candy, rainbow sprinkles and marshmallows, all on a sugar cone. Chocolate enthusiasts will want to cool down with a Oreo 'n Cookie Freak Shake. This decadent beverage boasts a scoop of Oreo Cookies 'n Cream ice cream, hot fudge drizzle, a slice of Oreo Cookies 'n Cream Polar Pizza, Oreo pieces, and a sugar cone. Those who can't choose between ice cream or donuts will want to nibble on the Donut Shop Freak Shake. 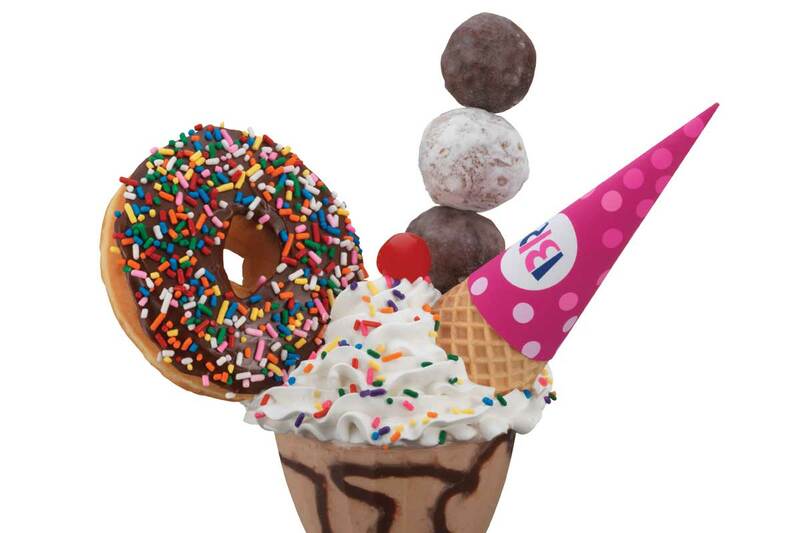 With a scoop of Almond Fudge ice cream, this shake is topped with hot fudge, Dunkin' Donuts Powdered and Chocolate Munkins donut hole treats, and a Dunkin' Donuts Chocolate Frosted with Sprinkles Donut. Freak shakes, a food trend that has been booming in the past few years, was essentially a hulked out milkshake topped with baked goods and other outstanding sweets. Originating at a pastry shop in Australia, the trend carried over to the US where restaurants like Black Tap in NYC breathed drizzle-dripping life further into the concept. The upcoming line of Freak Shakes will be available at participating Baskin-Robbins locations July 15 and will last through July 31.